Ask roofer Mike Heiland what he likes about DaVinci Roofscapes polymer roofing and be ready to settle in for a long conversation. From the authenticity of the imitation slate and synthetic shake tiles to the impact-, fire- and insect-resistancy features, Heiland is a true fan of the composite roofing product. However, ask him what makes him proud of installing the designer roof tiles and he'll quickly tell you: DaVinci Roofscapes are not just made in America, they're made in Kansas. 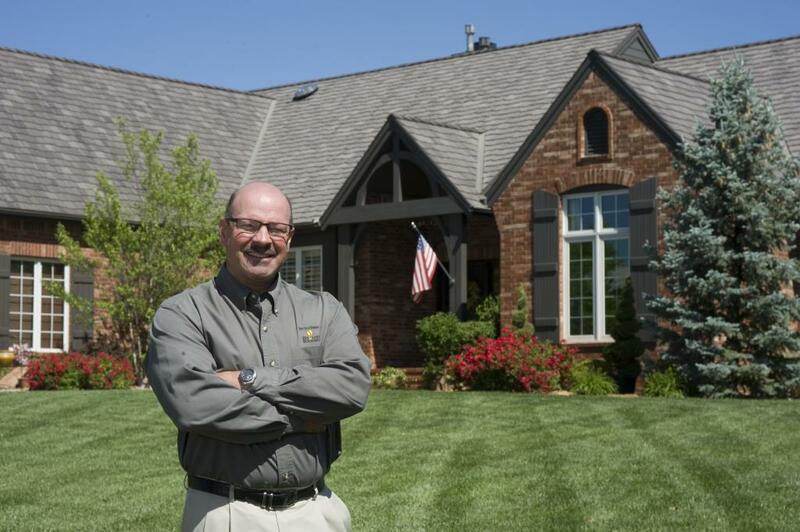 "Anytime we can support companies in our state we go the extra mile to do so," says Heiland, president of Heiland Roofing and Exteriors out of Wichita, Kansas. "We want to help our state grow. We consider ourselves partners with DaVinci Roofscapes in that growth. We support them, and they support us." For almost a dozen years Heiland and his team have recommended and installed DaVinci's imitation slate and synthetic shake roofing products. With a company focus on re-roofing of residential homes, Heiland believes there's a DaVinci sustainable roofing product for every price range. "We feel we can sell all the DaVinci products here in Kansas," says Heiland. "The higher priced homes have always been open to the quality of the DaVinci product. Then, when the Bellaforté line was introduced a few years ago it brought an affordable option to all homeowners. Even though this sustainable roofing costs more than regular asphalt, homeowners read the warranty, see the beauty and quality, and know they're getting a good return on their investment. "Our final sales point to homeowners is that DaVinci luxury roof tiles are all made right here in Kansas. That clicks with many people. They want to make a purchase that is smart for their home while supporting their state."